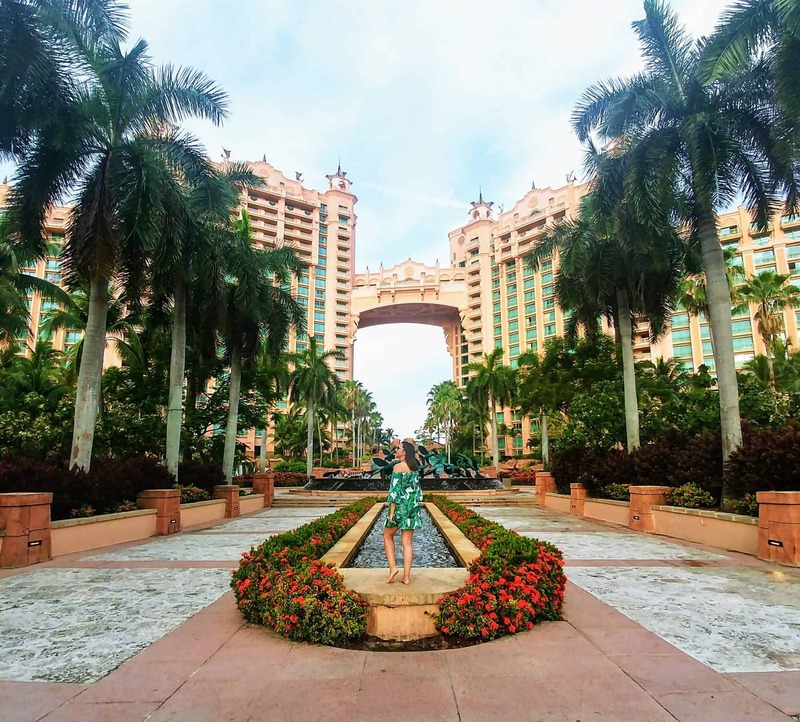 Looking for things to do in Atlantis Resort Bahamas in a Day? 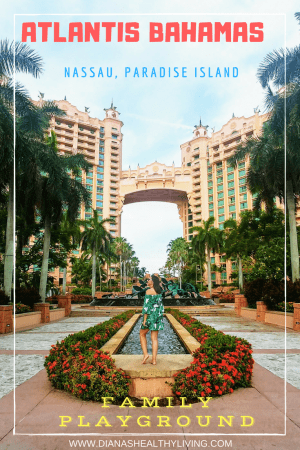 I am sharing some of the best things to do in Atlantis Bahamas Paradise Island. 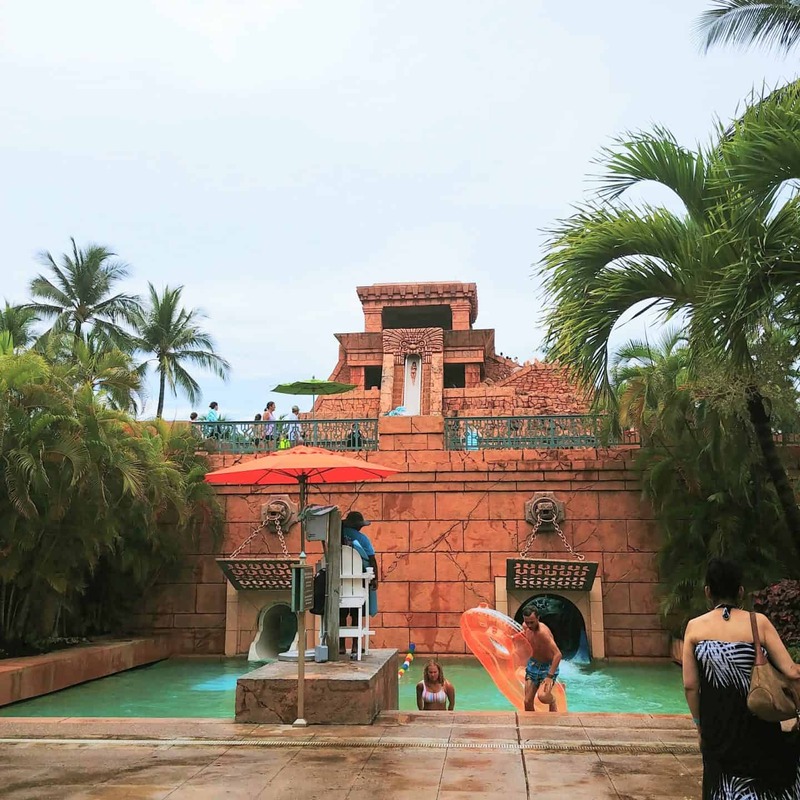 I was so excited to visit Atlantis Bahamas with Air Canada Vacations. 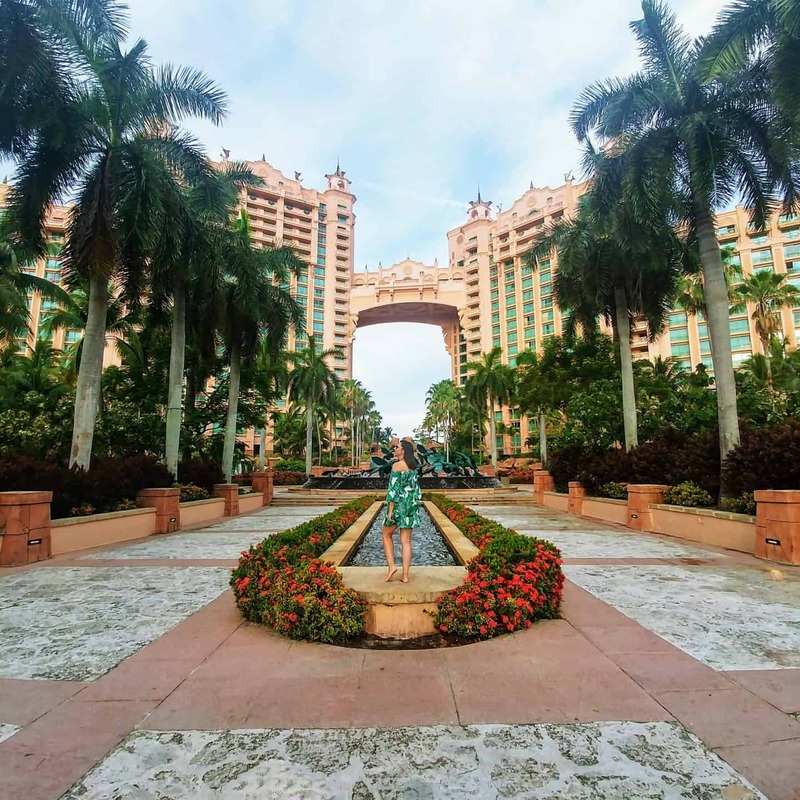 We only spent one night at Atlantis Resort Bahamas but we certainly made sure to make the most of our stay. The Atlantis Resort Bahamas is located on Paradise Island in Nassau. 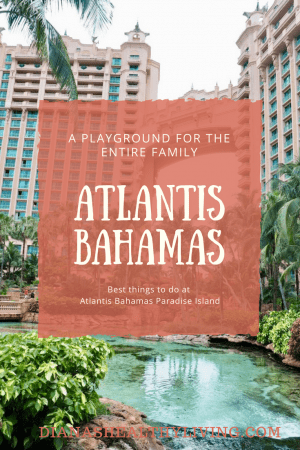 The Atlantis Resort Bahamas is literally a playground for your entire family. We had a full day at this Bahamas Atlantis Resort to experience all the water activities. 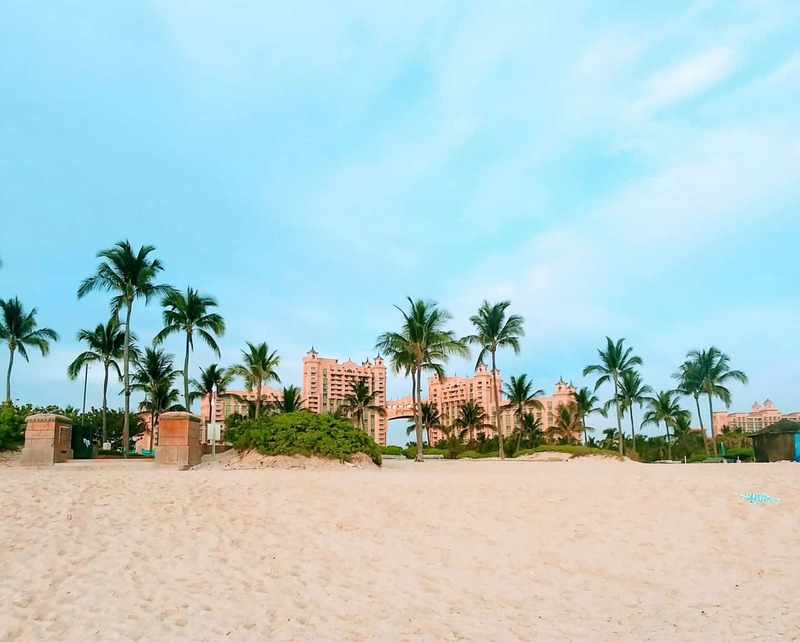 Here are some of the best things to do at Atlantis Bahamas. The Atlantis Bahamas is a very large resort so be prepared to walk (pack your comfy walking shoes). At times when we walked through the casino (yes, there is a casino) I felt like we were in Las Vegas. If you like staying in resorts where you don’t need to leave the property then this one has it all. You really don’t need to leave the resort unless you would like to explore the rest of Nassau (which I would highly recommend that you do). 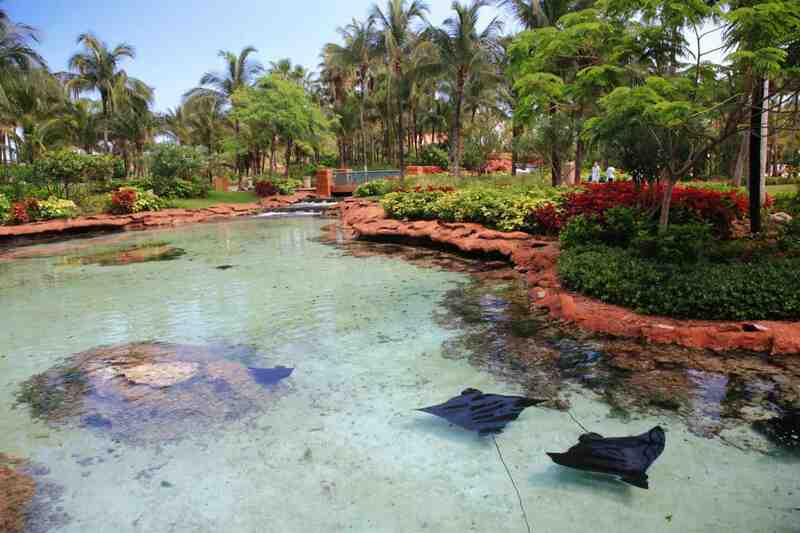 Here are some of the best things to do in Atlantis Bahamas. 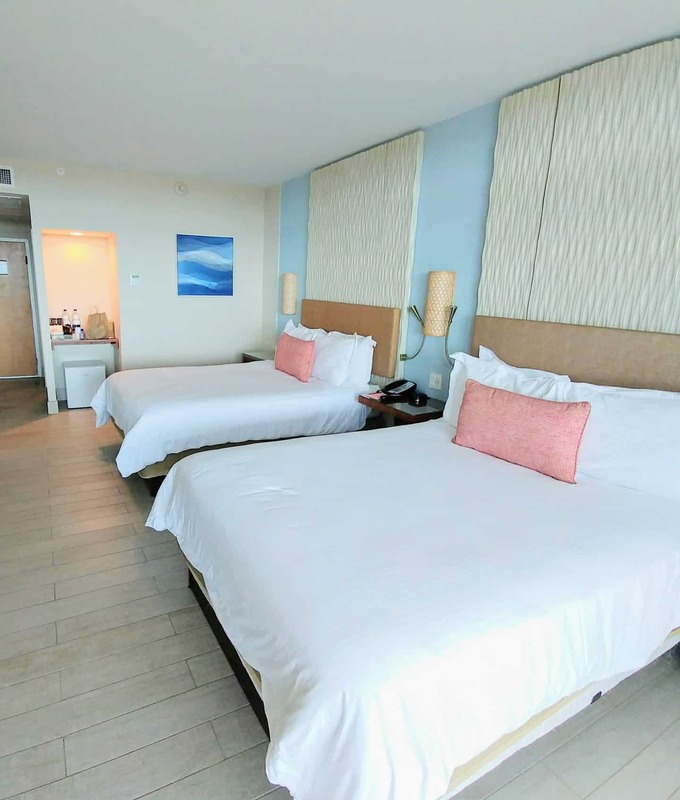 I stayed in the newly renovated Coral at the Atlantis- Bahamas. 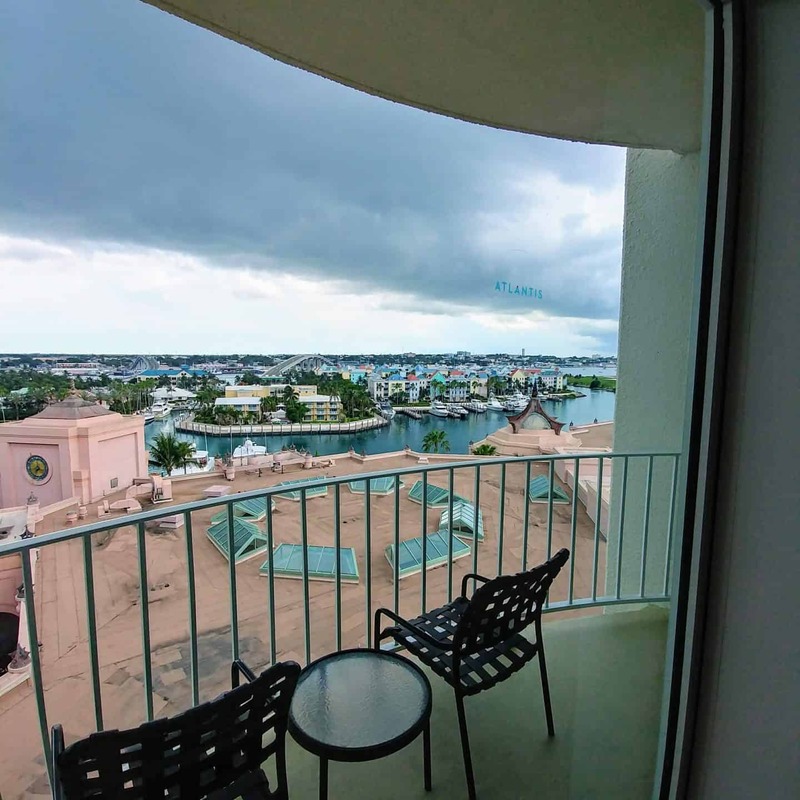 The Coral at the Atlantis Bahamas has a laid-back atmosphere that offers family-friendly accommodations. The Coral rooms are decorated in fresh ocean hues and soft palettes of coral and sandy golds with a beach ambiance. 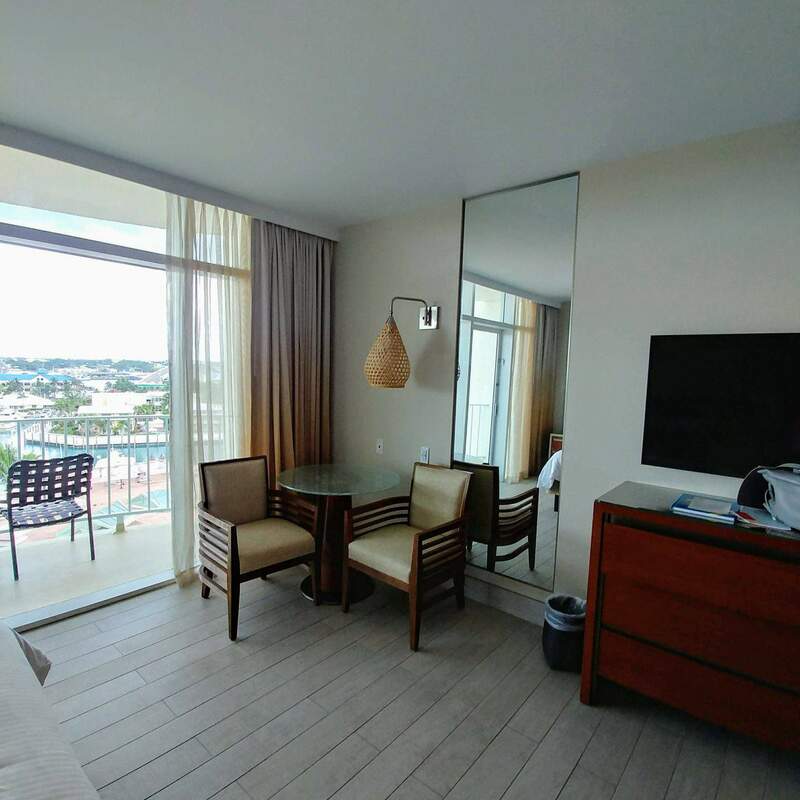 Each Deluxe Room features amenities including either a king-size or two queen beds and full balconies overlooking the grounds, the Atlantis waterscape, or the sparkling blue ocean waters. I stayed in the deluxe room with water views (I was overlooking the marina). 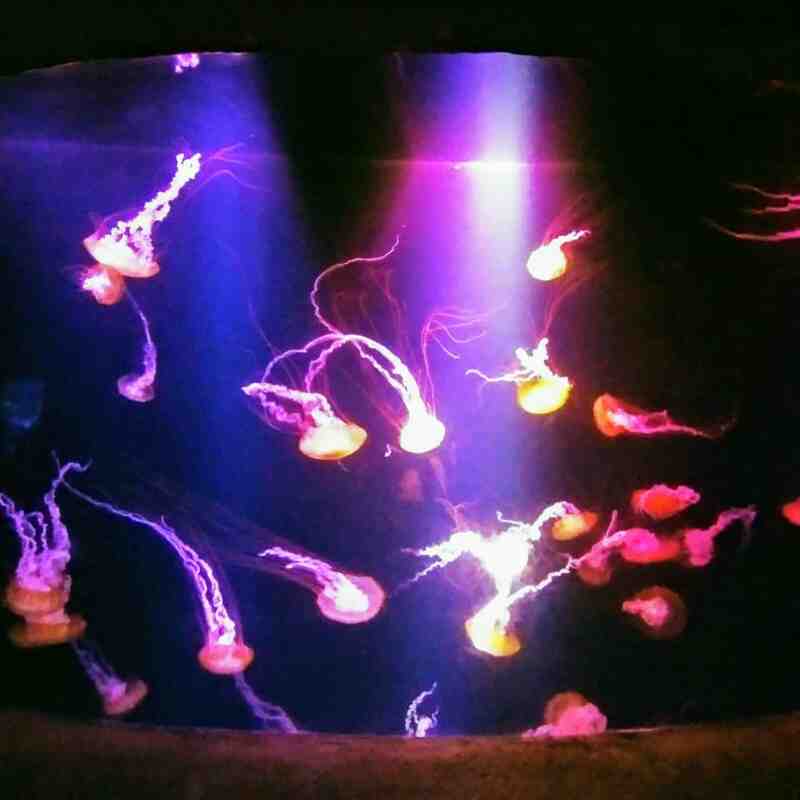 I found the Coral rooms to be extremely spacious – big enough for a family of four. It is also the closest to Marina Village. What I love about The Atlantis- Bahamas is that they have something for everyone. 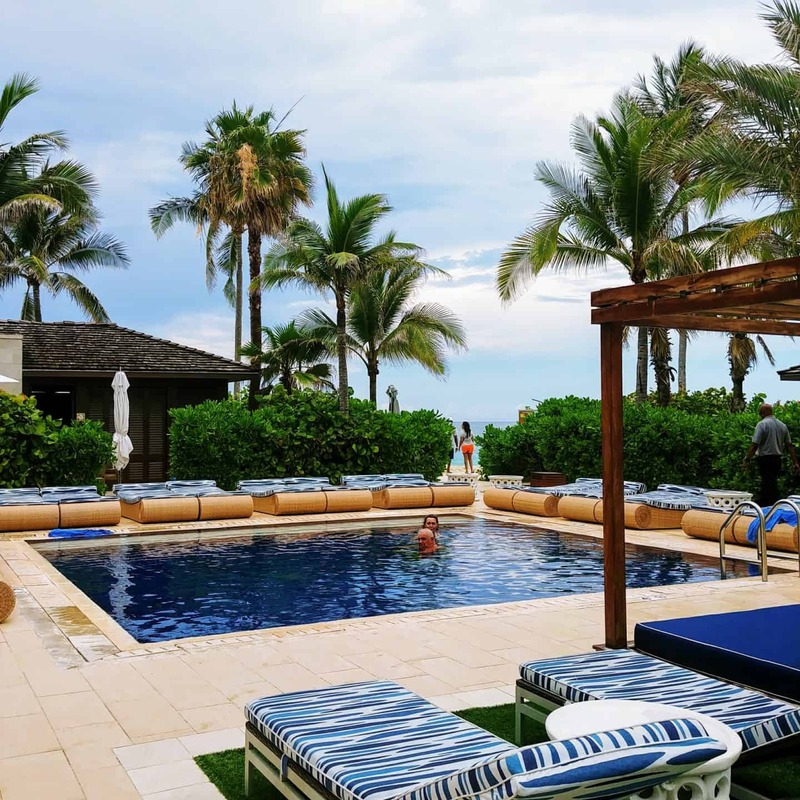 If you are interested in lounging by the pool then take your pick of one of the 11 distinctly different pools the Atlantis Bahamas as to offer. There are 31 private cabanas to choose from. A private cabana is great when travelling with a family as they are spacious and offer poolside access, are close to the beach, offer food and drink service, a private changing area, and comfortable accommodations for up to six people. 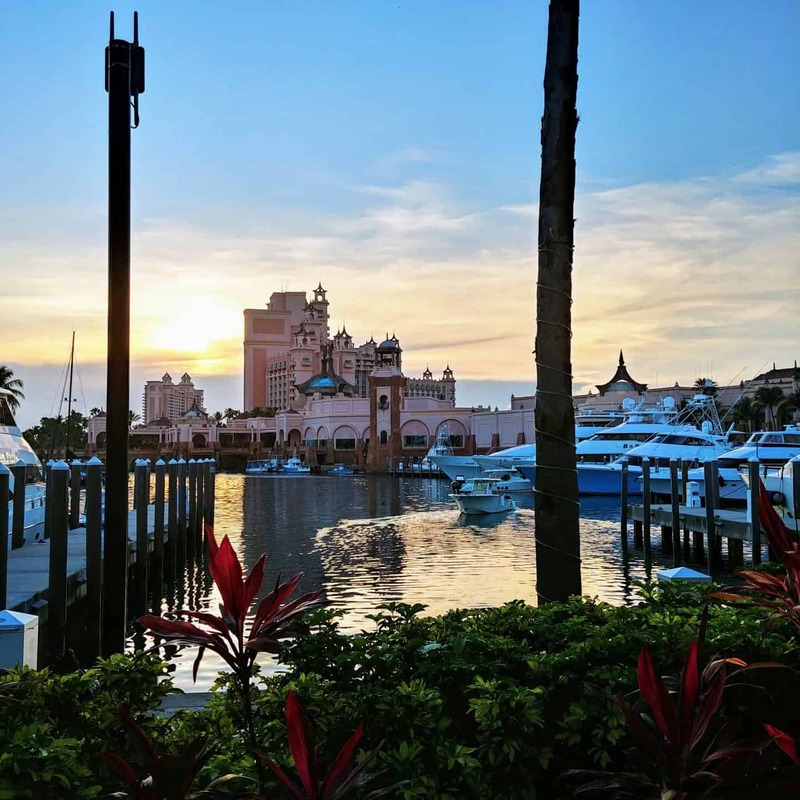 The Atlantis offers recent Hollywood blockbuster movies at the Atlantis Theatre in the convention center that is complimentary to all resort guests. One of the top things to do in Atlantis Bahamas is to explore the Things to do in Atlantis Bahamas Resort Nassau, Paradise Island collection of marine habitats and marine exhibits—lagoons, caves, coral formations and breathtaking underwater ruins that are designed to showcase exotic marine life ranging from sharks to rays, barracuda, piranha, eels and even endangered alligator gar. 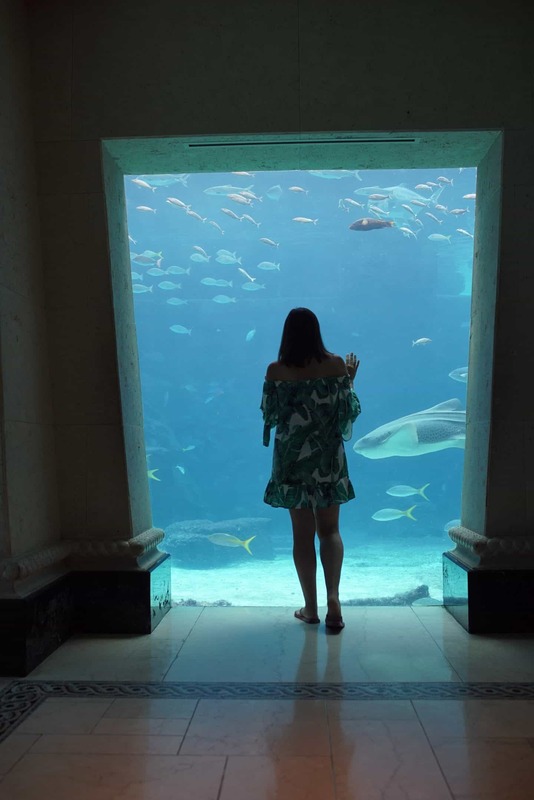 Atlantis, Paradise Island is home to the largest open-air marine habitat in the world… encompassing 14 lagoons, eight million gallons of ocean water and more than 50,000 aquatic animals representing over 250 marine species. The Atlantis offers several snorkelling options. You can book a snorkel day trip or snorkel at Paradise Lagoon and Cove Beach. If you don’t feel like packing your own snorkel gear, you can rent snorkelling gear at the Atlantis. Choose one of the many different dolphin cay experiences at the Atlantis. Learn and swim with the rescued bottlenose dolphins. Every visit to Dolphin Cay supports the Atlantis Blue Project Foundation. The Atlantis Bahamas is a large resort. 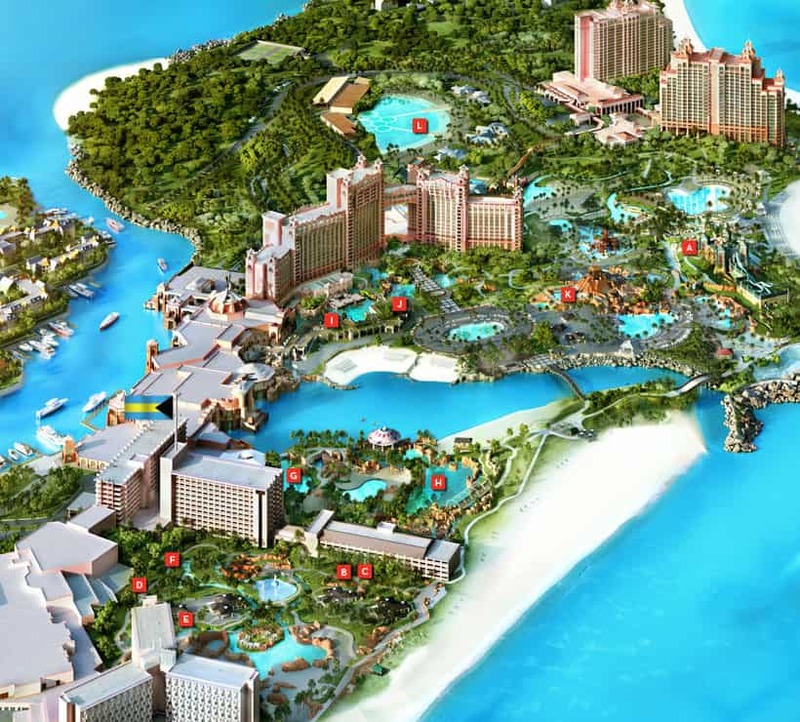 This is a handy Atlantis Bahamas map outlining all the must-see lagoons on the resort. 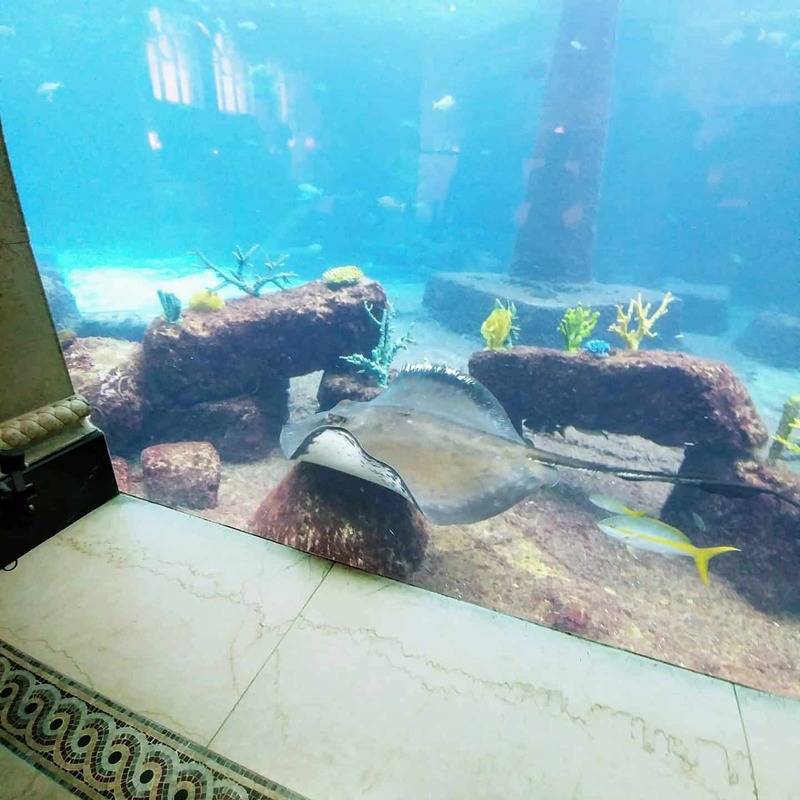 There are daily scheduled feedings for guests to watch the stingrays being fed.​ Check the schedule for daily feedings. This 141-acre waterpark will keep you and the entire family busy for the day. This huge waterpark includes 18 water slides and two river rides. The mile-long river ride has rolling rapids and waves surges. This is the largest water park in the Caribbean. Give yourself permission to be a kid and enjoy the rides at the Aquaventure. – Wristbands are required and can be obtained at any outdoor “Towel Hut” within Aquaventure. – Life jackets are provided free of charge. – Sandals or water shoes are strongly recommended – the Carribean sunshine heats-up the pathways. – Lockers are available for daily rental at the Aquaventure Hospitality Center to secure personal items. Float your worries away on a Lazy River Ride through this tropical paradise. If you are more adventurous, try The Current, and roll with the waves and extreme rapids as you propel through the lush tropics along the mile-long river. Tip: A valid hotel room key from partner hotels, a cruise line ID or proof of Bahamian residency/citizenship will be required for redemption. 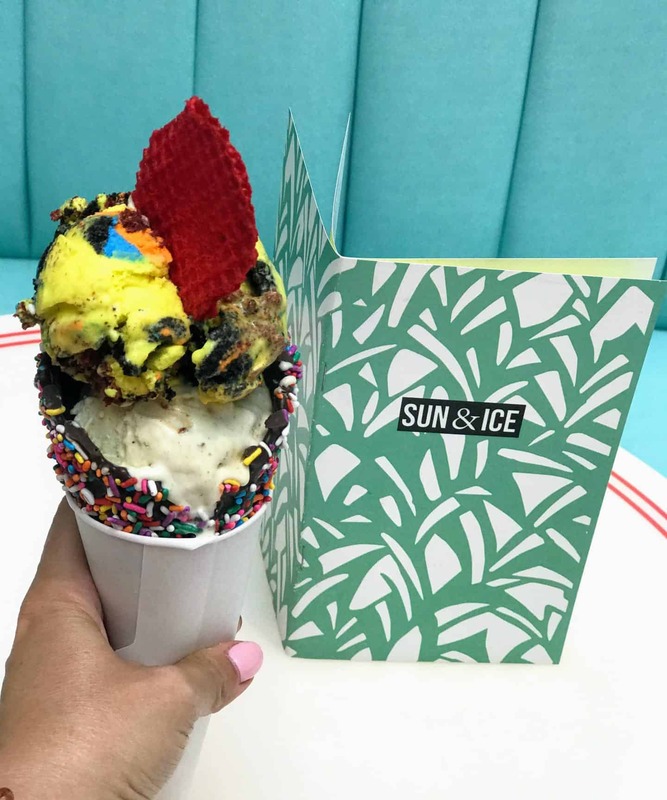 Visit this ice cream parlour to enjoy some of your favourite treats from gelato, ice cream and sorbet. They have many unique flavours to choose from. Enjoy fine dining at some of the top restaurants such as Nobu, Chop Stix, Mesa Grill and more. These are the perfect restaurants to celebrate a special occasion. You can’t forget the 5 miles of white-sand beaches and Caribbean views. I got up super early to try to catch the beautiful sunrise while I strolled along this beautiful beach. 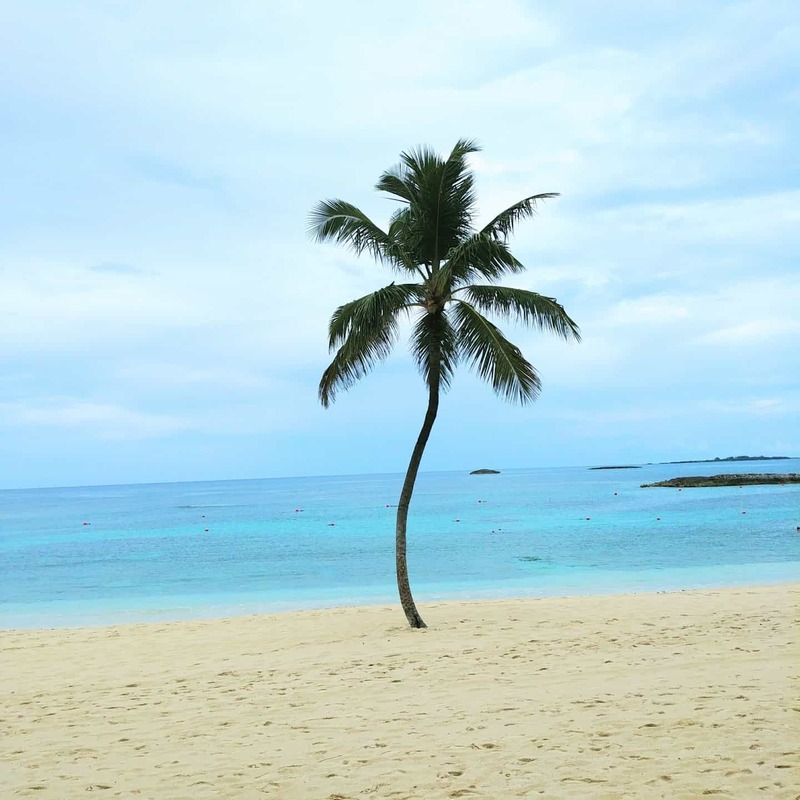 The Bahamas has some of the most beautiful beaches with white-sand and crystal-blue waters. The Atlantis has three beaches available to guests. There is the Cove Beach, Paradise Lagoon and Atlantis Beach. I’m sure you have heard of swimming with sharks but walking with the sharks is an experience that requires no swimming. You will be geared up with a state-of-the-art clear-glass helmet that will allow you to walk on the bottom of the Shark Exhibit. 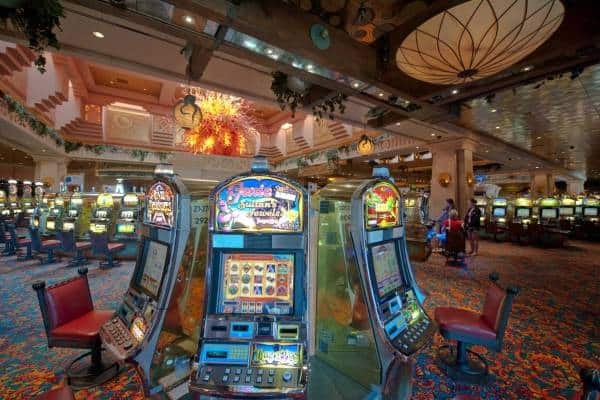 If you are feeling lucky then visit the world-class Atlantis Casino at one of the 700 + slot machines or 85 gaming tables that feature baccarat, Ultimate Texas Hold’em poker, craps, roulette & blackjack just to name a few. They also offer complimentary daily gaming lessons. Enjoy a game of golf at the 18-hole par 72 championship course. This course stretches over 7,100 yards on Atlantis, Paradise Island’s Oceanside peninsula. Get pampered at the award-winning Mandara Spa at Atlantis. The spa offers warm and cold plunge pools as well as steam and sauna rooms. There are many different spa services to choose from such as a massage, body treatments or a facial. 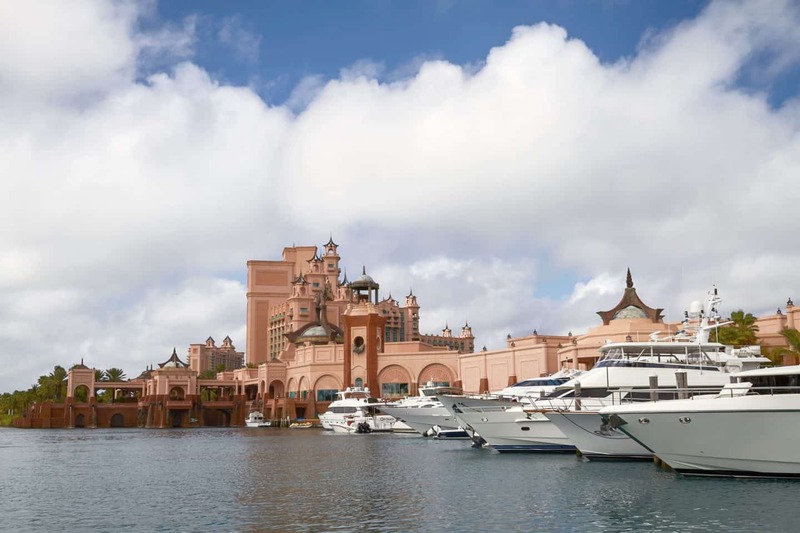 The Atlantis Bahamas offers some of the finest luxury shopping at stores such as Gucci, Versace, David Yurman and many more. They also have a signature Atlantis store offering great souvenirs. If walking the large grounds at the Atlantis Bahamas isn’t enough for the fitness junkie, then hit up the 10,000 sq. ft. fitness facility and try out a spin class, a yoga class or pump some muscle on the strength training machines. 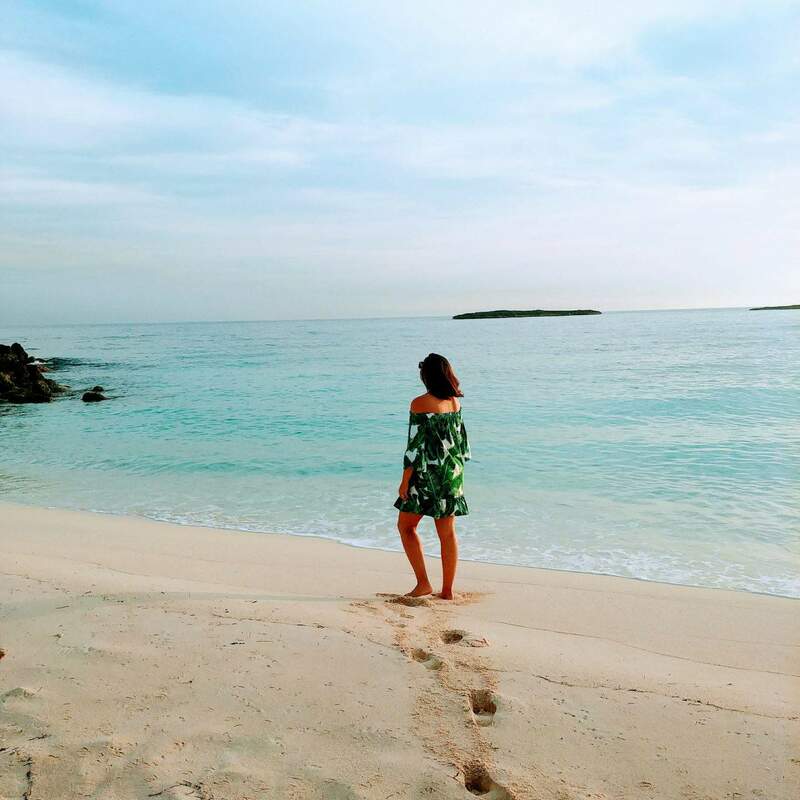 If you want to discover the rest of the Bahamas then you can charter a private yacht or fishing boat for the day and experience the Bahamas’ most exclusive islands and best-kept secrets. The Bahamas has stunning beaches and incredible diving sites. They are also known for some of the best fishing worldwide. A destination wedding or a honeymoon at the Atlantis Bahamas is the perfect way to celebrate your special day. There are three honeymoon packages to choose from that will make this a perfect couples escape in paradise. If you are travelling with children then you will love the kids club. There are so many activities to keep your kids occupied. They can enjoy culinary lessons, interactive electronic art, theater, outdoor play – and more. The Atlantis Kids Adventures is a great place for kids to learn and to discover. 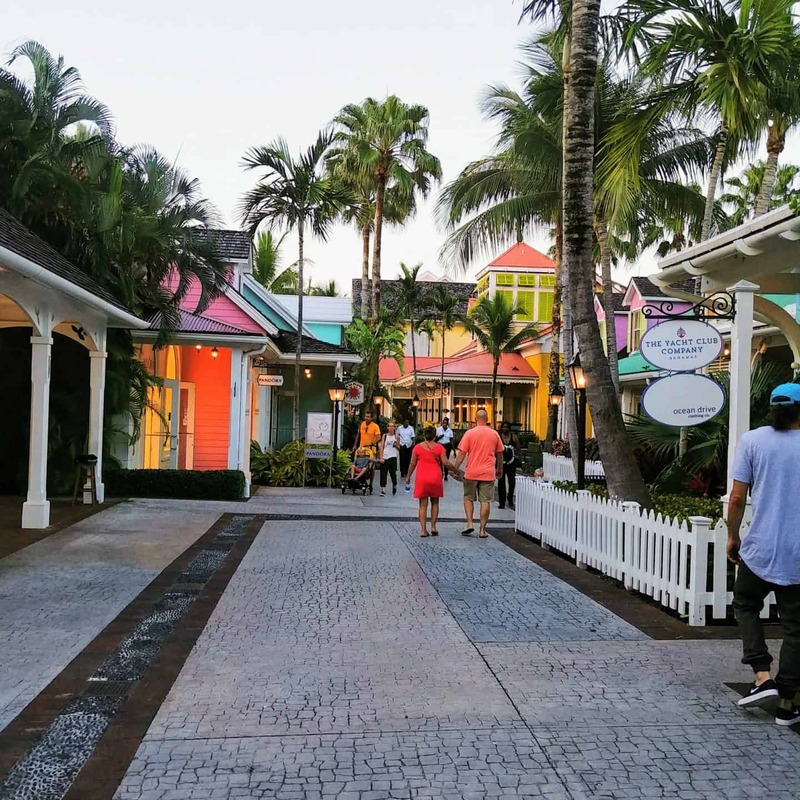 Marina Village next to Atlantis is a great place to shop. 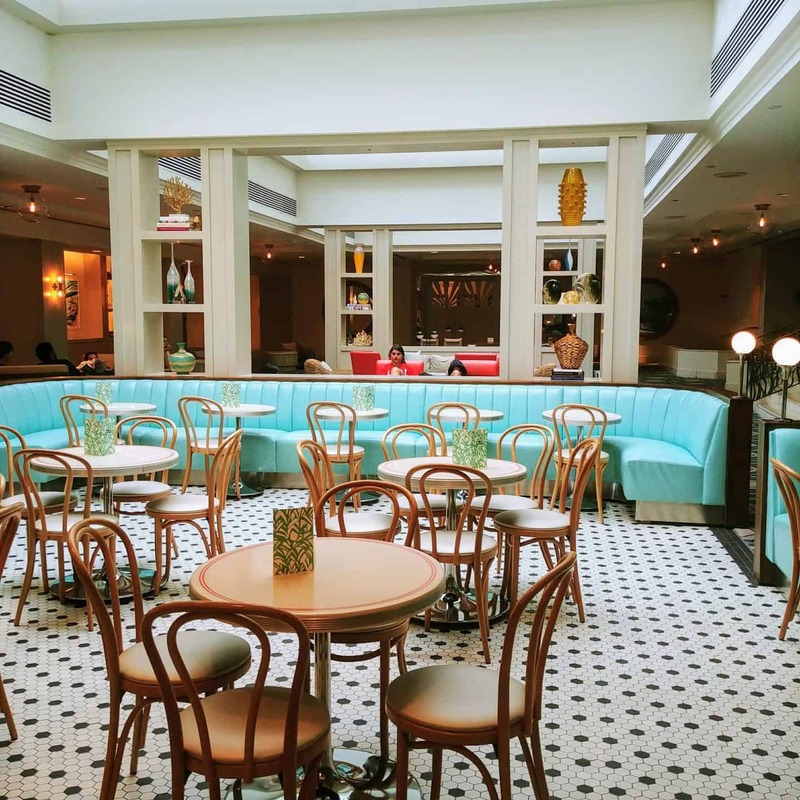 They have over 20 designer and retail shops plus dining options ranging from casual, fine dining and grab-and-go-meals and let’s not forget the Starbucks. I loved strolling around the village with such vibrant coloured buildings. There are many more things to do in Atlantis Bamahas in a day, but these are some of my favourites. 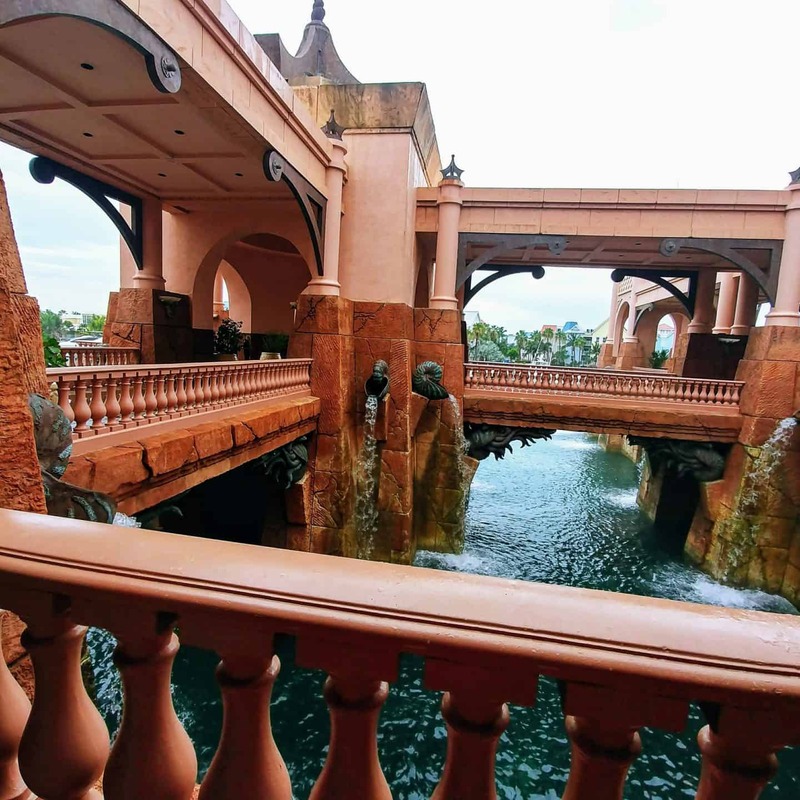 It was a wonderful experience that you can only have at the Atlantis Bahamas that you will want to return. 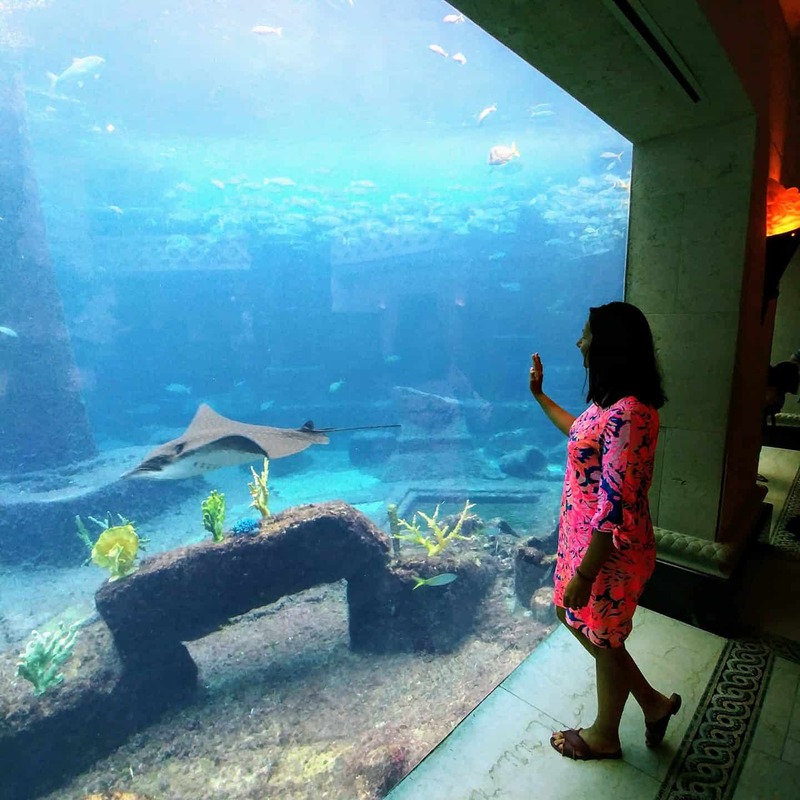 There are so many different options for the entire family to enjoy at the Atlantis Bahamas. Thank you to Air Canada Vacations and the Bahamas Ministry of Tourism for an incredible experience. I love those Coral rooms Diana. Simple and peaceful in a chill setting. Plus it’s cool The Atlantis is set up for the entire fam. No bored kids walking around, counting the days until the end of the trip. Fabulous post. This place looks so awesome. It was on our list, but we ended up staying on Freeport the entire time instead. Freeport looks beautiful – it’s on my list to visit. You should definitely check out the Atlantis.